Connect Air ... combines practicality and affordable luxury. Boasting the first-of-its-kind design centre in the Mena region, Ideal Standard is looking forward to significant growth this year. 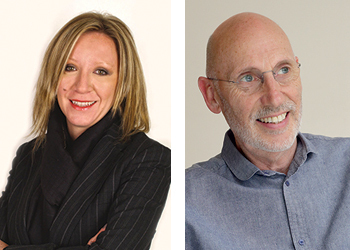 With a new design centre in Dubai and an expanded portfolio of innovative bathroom solutions, Ideal Standard anticipates significant growth in the region this year. Among such events was one held to mark the opening of its new design centre in December, where it invited some of its partners, including consultants and specifiers, from across the Middle East. “The design centre is a place for inspiration as it is not where we sell our products. We want to work closely with our partners and host their consumers who would like to come and see products for their bathrooms,” she says. Dotsia adds that the centre is designed to cater for the Mena region and more people will be invited in groups from the area to come and view Ideal Standard’s the wide range of products. The company is looking at further enhancing the design centre. “We will offer more digital and 3D designs, and floor plans for bathrooms,” she says. The Ideal Standard’s Design Bathroom Centre, the first of its kind in the Mena region, is a luxury facility spread over 1,000 sq m that showcases the company’s successful complete bathroom solutions - DEA, Tonic II, Ventuno, Connect and Strada, to name a few – for all building types as well as its bathroom mixers, counter-tops and vessel basins. The highlight of the opening ceremony, however, was the unveiling of the 2017 launches, namely Connect Air and Tesi total bathroom solutions, and Ceraflex mixers. Connect Air and Tesi were introduced by designer Robin Levien. During the event, guests were given an overview of Tesi, a collection of bathroom ceramics, furniture, baths and mixers, which combine well together to create a versatile, quality bathroom. 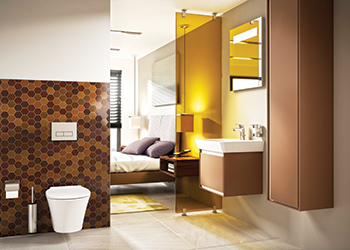 With a fresh and energetic character, all options work perfectly in family bathrooms, cloakrooms and en-suites alike. “The collection is slender, elegant and agile: It is precisely adapted to suit environment and lifestyle needs, with its smooth lines performing effortlessly in every role and never failing to achieve a perfect balance. The range features over 30 products that assemble a beautifully coordinated bathroom,” explains Levien. All the toilet bowls, in both the Connect Air and Tesi ranges, are fitted with AquaBlade flushing technology, offering high aesthetics, superior hygiene, less splashing and noise reduction. With AquaBlade, the toilet flushes from the top of the bowl, washing the entire inner surface of the ceramic with no overhanging rim, keeping the toilet bowl immaculately clean - a unique feature of Ideal Standard products, Dotsia says. Another star attraction was the Ceraflex collection of bathroom mixers. With modern clean-cut lines, this range of mixers is designed to complement different bathroom styles, while the Ideal Standard technology is a warranty for a reliable fitting, she adds. The collection features a new ceramic-disk cartridge, an upgraded version of the original Ideal Standard invented and with which it revolutionised the industry all those years ago. Engineered and manufactured in Germany, the new cartridge is slimmer, tougher, more resistant and more durable than standard products. Also, packed with water-saving technologies, easy fix and maintenance abilities, Ceraflex mixers perform flawlessly and save money in the long run, according to Dotsia. Associated with some of the most prestigious projects in the Gulf, Ideal Standard is committed to reinforcing its market presence with its adherence to product quality, innovation, design and sustainability, leading to functional bathroom solutions.